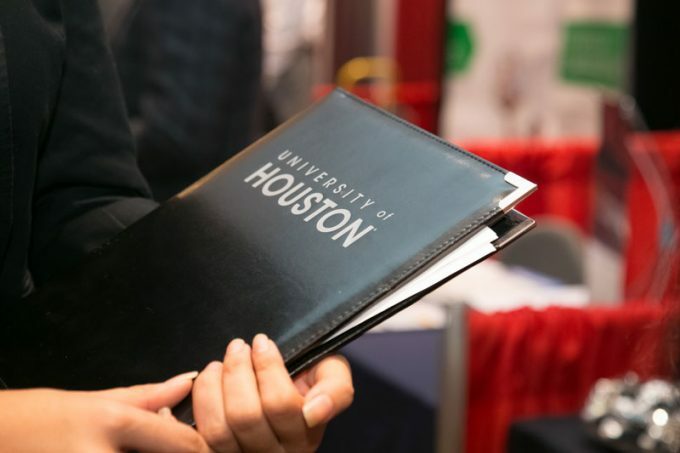 The Rockwell Career Center will host more than 100 employers on Feb. 16 during the Spring 2018 Business Career Fair at the University of Houston Hilton. Students from the C. T. Bauer College of Business will have the opportunity to meet with recruiters from leading companies on this week during the Spring 2018 Business Career Fair on campus. Organized by the college’s Rockwell Career Center, the event will be held Feb. 16 from noon to 4 p.m. in the University of Houston Hilton. More than 100 employers will be at the Career Fair, looking for Bauer students to fill internships and jobs for their immediate needs. Companies represented span a range of industries and include Deloitte, Schlumberger, Target Stores and Aldi. In order to participate, Bauer students must dress professionally and have their UH student ID to check in. Students also have the option to “skip the line” line by visiting the Rockwell Career Center on the second floor of Cemo Hall this week to get quicker access into the event. For more information, visit www.hirebauer.com.